JonesHigh.com is a donation from Grace Jordan Studios started on October 9th, 2004 to the Alumni and Students of this historical public educational institute. Giving back and never forgetting where we come from. JHS! 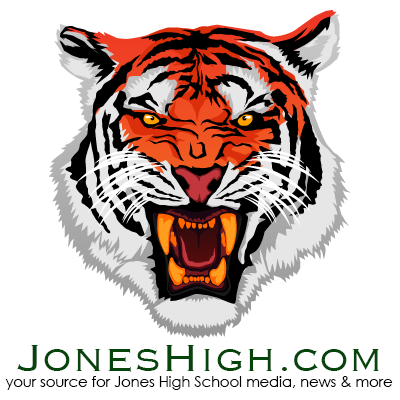 The JonesHigh.com web site’s main goal is to offer an online voice for the Alumni, students, parents and faculty to exchange ideas, information, and history and benefit from the experience of others that have attended this old historical public educational institute. By participating in the JonesHigh.com web site, it gives our people a voice to express themselves via the World Wide Web. Share in our passion in giving back to the Jones High School community of Orlando by using this website. Express yourselves, promote your businesses and make suggestions to us to help make this experience better than ever before. Believed to have been established in 1895, the school now known as Jones High School was first an old frame building on the southwest corner of Garland Avenue and Church Street. Later it was moved to the corner of Jefferson and Chatham Streets and was named Johnson Academy in Honor of Lymus Johnson, the principal. In 1912, L.C. Jones became principal of Johnson Academy. Under his leadership, a new school was built in 1921 on the corner of Washington Street and Parramore Avenue. Because his family donate the land for the school, the school was renamed Jones High School. The students in grades six through ten were moved in. Near the latter part of Jones’ administration, the remaining grades were moved from Johnson Academy to Jones High School, and the school term was lengthened from five to nine months. By 1929, grades one through twelve in operation. In 1931, Jones High School had its first graduation of students completing the twelfth grade. At the end of this term, Mr. Jones was transferred to Oakland, Florida, and A.J. Polk was named principal. Cullen W. Banks replaced Polk in 1935. In 1952, Jones High School moved to its current home on Rio Grande Avenue. Today, the school is a multi-million-dollar facility with all new buildings, including a new administrative suite, a new gymnasium, a new science and technical center, a new museum and media center, and state-of-the-art classroom. This information is provided by the Jones High School Society web site. Please stop by and visit the Jones High School Historical Museum today. 801 S. Rio Grande Blvd. We will ensure that Jones High School will continue to be recognized as one of the top high schools in the State of Florida. Believed to have been established in 1895, the school now know as Jones High School was first an old frame building on the southwest corner of Garland Avenue and Church Street..